Not that we are in need of reasons to celebrate, but I am proud to say that we actually do have some very good ones in 2007. The first is that PHONE+ magazine, our host, turns 20 this year. PHONE+ was founded in 1987 for the newly competitive payphone and operator services markets. There were three magazines targeting that market then, not counting the association publications. Today, only PHONE+ survives, but not on the strength of the COCOTs or OSPs. PHONE+ found a home in the competitive long-distance market and the resale community. By 1997, the resale market was going gangbusters and even expanding into data and local services. At the same time, the agent community started to grow as all the new competitors needed sales help. PHONE+ took them under its wing as well and even started a trade show, the AgENt Conference & Expo, just for them. That brings me to the second reason for celebrating. 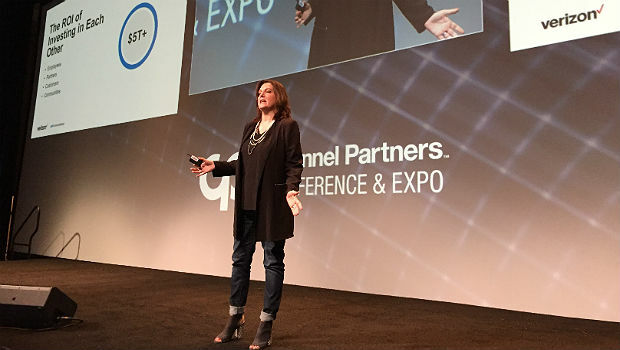 This year, that show now called the Channel Partners Conference & Expo marks its 10th anniversary. That both these milestones are occurring in the same year is not by design, but they sure make great excuses for a party. So, lets get it started. Please join me at tonights 10th Anniversary Celebration during the opening reception in the exhibit hall. Our friend, TMC Communications, also is celebrating 10 years so stop by the TMC and PHONE+ booths at 6:30 for your commemorative champagne flute (complete with champagne, of course). For the fun of it, we are ordering up some anniversary cake complete with candles. How about a generous slice of cream-filled cake with whipped icing on top? Ill drink to that! After a decade, the Channel Partners Conference & Expo remains the communications industrys only event exclusively for The Channel agents, VARs, systems integrators, interconnects, wireless dealers and consultants. I am pleased to report the Vegas 2007 show is the largest to date with 140 exhibitors and 3,000 attendees. This achievement is a credit to the commitment of the thousands of participants attendees, speakers, exhibitors and sponsors alike. This is your business and this is your show. We are proud of what you have created and we want to thank you. In addition to tonights party, our gratitude will be evident in our ongoing efforts to improve the show to make it the most worthwhile for your business. After all, Channel Partners Expo Means Business. Todays carrier roundtable is one great example. We have invited channel executives from the industrys leading companies to talk about the direction of the market and their perspectives on indirect distribution. Only Channel Partners Expo brings top competitors together to discuss the future of the channel. I hope you will take advantage of this opportunity as well as many others available on our conference agenda and in our expo hall.